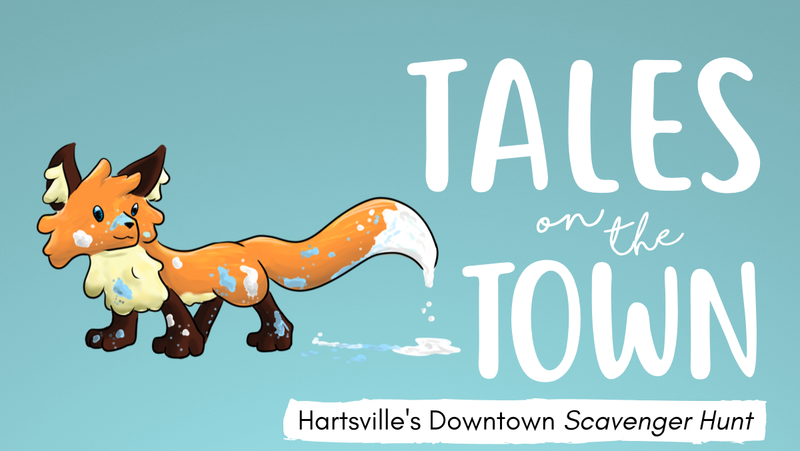 Tales on the Town is a downtown scavenger hunt which celebrates Hartsville’s art, history, education and economic development. After traveling the world, Hart Fox decided to settle down in her favorite place, a small town called Hartsville. She saw that Hartsville is kind and compassionate–a perfect place to raise her thirteen pups. Mama Fox, as her pups call her, watches over her little foxes as they play and scamper in town. However, those mischievous pups love to play hide and seek. Can you help her find all thirteen little foxes hidden in plain sight? Go to VisitHartsvilleSC.com to learn more about Tales on the Town. The Tales on the Town companion childrens’ book by Bennet Joyce is available at The Key and Burry Bookstore. Tales on the Town is a project of the Greater Hartsville Chamber of Commerce’s Leadership Hartsville program Class of 2013.